The bright yellow flowers on this showy shrub persist long after flowering, turning papery to give the illusion of a longer bloom season, and providing unique dried flower bouquets. Paperflower is a showy, mounded shrub named for its bright yellow flowers that persist on the flower head long after blooming, turning tannish-yellow and papery—giving the illusion of a much longer blooming season. At peak bloom in late spring, its gray-green foliage is almost hidden by the mass of one-inch daisy-like flowers. It keeps blooming with a little summer water. Prune off old flower heads to encourage new growth and stimulate more flowers. To avoid leggy growth, plant in full sun, and don’t overwater, which favors vegetative growth at the expense of flowers. 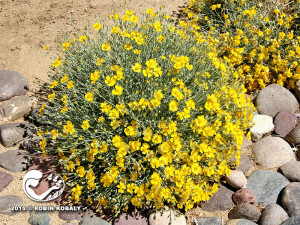 Paperflower complements rock and cactus gardens, works as a border, and brightens any garden space with good drainage and no organic mulch. Cut flowers make a nice dried flower bouquet. Versatile, long-blooming, and extremely tolerant of drought, heat, cold, and poor soils, you have found a true performer in any selection of the low-maintenance Texas Rangers. Native to: Texas, Mexico, SW U.S.
Texas Rangers belong to a genus of flowering shrubs that are prized for their profuse flowers, long bloom season, exceptional drought-tolerance, and low maintenance. Over a dozen species and selections are now available, with variations in plant size and shape, leaf color, and flower color. Explore choices such as ‘Thunder Cloud’, ‘White Cloud’, Green Cloud’, and ‘Cimarron’ for flower colors from white, pink, rose, or purple, and leaves from green to silver. Taller forms (6-8 feet high, such as L. frutescens) make excellent screening hedges, and a great alternative to oleanders. 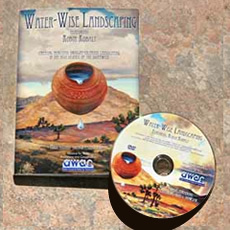 Reduce supplemental water in early fall to increase cold tolerance. Allow these beauties to grow naturally – resist pruning into box-shapes or globes. While creating a denser appearance, flowers will be sacrificed, and water use will increase. Prune only lightly in fall after flowering to maintain the plant’s natural form. There is a perfect Texas Ranger for your particular garden situation! This versatile, aromatic, flowering groundcover will perform beautifully for you in rock gardens, borders, narrow planters and medians, and even in areas with reflected heat. 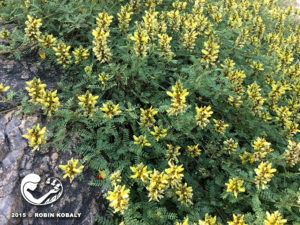 Sierra Gold Dalea is a creeping groundcover with aromatic (lemon-scented), fine-textured, bright green leaves. In spring and again in fall, the plant is covered by small, yellow, pea-like flowers in spikes. This hybrid of Mexican parents drops many of it leaves during its winter dormancy, when it may look unattractive (in mild winters, it may retain its foliage). Plant in full sun and well-drained soil. Shear back by half in early spring after the last frost to rejuvenate the plant and keep it dense. Lovely in rock gardens, by patios, or in borders, and to create a soft backdrop for more pointed plants like yuccas, agaves, and tall cacti. Sierra Gold is a great choice for mass plantings in areas with reflected heat. Can be used in tight planting areas, such as medians and planters, due to its compact size and tolerance for reflected heat. Rabbits seem to leave this plant alone after establishment. Red Yucca is not actually a yucca, but a relative whose 2 to 3-foot-long, stiff leaves are thornless, making it a safer choice for pathways, borders, and drives than true yuccas. 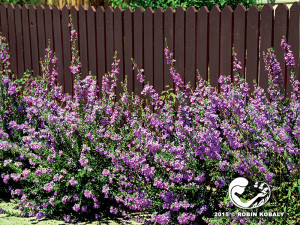 In fact, its small size makes it perfect as a focal point for smaller landscape islands and patios, as well as around the base of trees or lampposts. It works equally well as a groundcover, in rock gardens, or in containers. Besides its versatility, arching flower stalks from its symmetrical rosette of leaves provide an artistic shape with abundant coral to red flowers from late spring until fall. Its gray-green, grass-like leaves are edged with curling, white fibers. 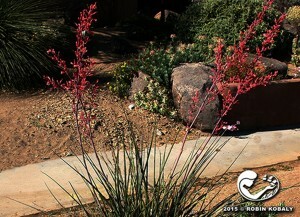 Red Yucca’s abundant flowers attract hummingbirds by day, and night-pollinating moths by moonlight. The only maintenance needed is cutting the spent flower stalks and protecting the plant from hungry rabbits. Santolina is a small but mighty asset in drought-tolerant settings, making a sturdy and colorful hedge, border plant, groundcover, solitary specimen, or a beautiful addition to rock gardens, and herb or knot gardens. 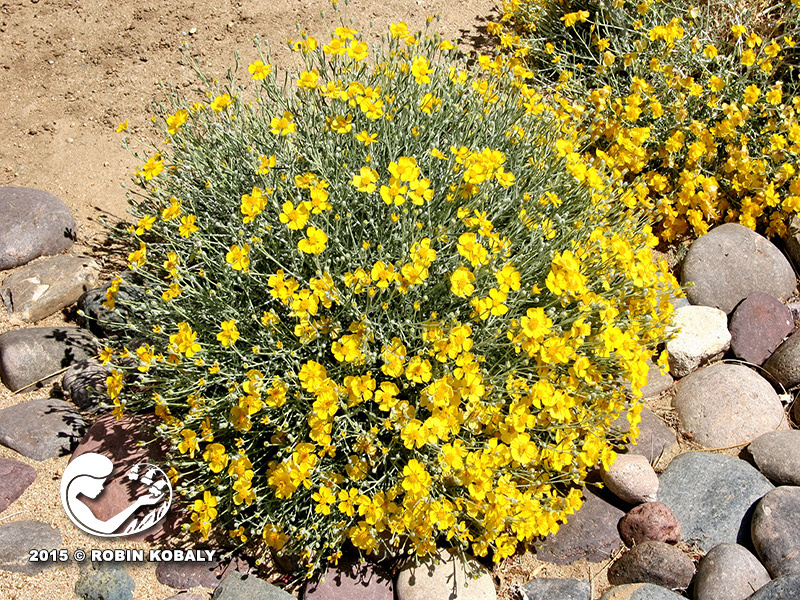 Santolina is a tiny powerhouse when it comes to useful, beautiful, drought-tolerant plants. 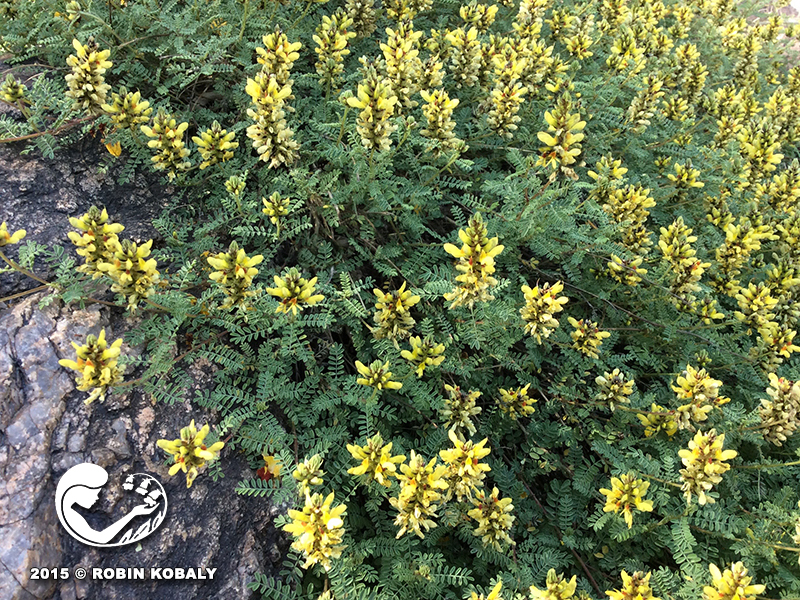 This soft, gray-green plant grows tight and compact, and holds bright yellow, button-like flowers on tall stems high above the rounded plant in late spring and summer. The flowers are great in dried arrangements, wreaths, and crafts. Rub the finely-dissected leaves between your fingers to release the pungent fragrance, and imagine being in a Christmas tree farm with fresh-cut wreaths. Deer and rabbits avoid eating this plant. 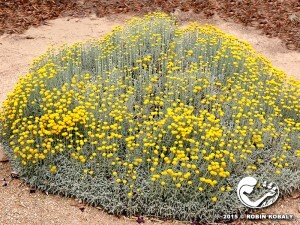 Santolina survives heat, poor soil, and infrequent watering, but must have well-draining soil, and can be killed by overwatering. Prune back to the ground in spring if it becomes sparse or leggy. Versatile as a small hedge, border plant, solitary specimen, or large-scale groundcover, especially as a sturdy soil-builder on problematic hillsides. Beautiful in rock and succulent gardens, herb and knot gardens, or massed by itself for dramatic effect. 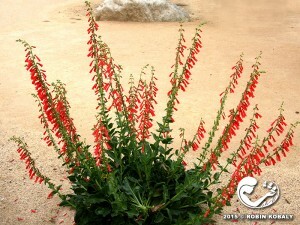 Firecracker Penstemon is a hummingbird magnet that is also prized by gardeners for its brilliant, abundant flowers. Firecracker Penstemon is irresistible to hummingbirds due to its nectar-filled, brilliant, scarlet flowers. It is among the first to bloom in spring, providing an early-season nectar source for hummingbirds. This low-growing, shrubby perennial produces a mound of rich, dark green leaves from which tall stalks of flowers emerge, the tubular flowers usually hanging to one side of the inflorescence. 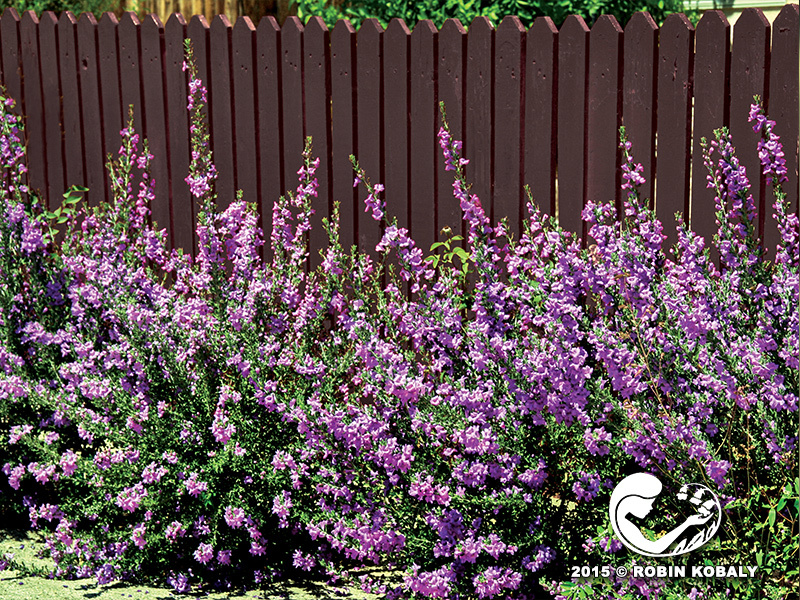 Grows best in well-drained soil with full sun, as shade can cause plants to sprawl. Overwatering may cause the plant to rot. Harvest the flowering spikes in summer when seed capsules are dry to scatter seeds to start new plants. The basal rosette of leaves will remain attractive year-round. Plant in masses for a stunning display (and to drive hummingbirds crazy), or as accents against cacti, boulders, or rock walls.